K9 crystal is one of the highest quality Optical Glass -Crystal, K9 has the same properties as 24% leaded crystal, as looks the same and polishes, and shines - sparkles the same as 24% leaded glass, but doesn't have the lead and is lighter that leaded glass. Note:SunAngel had no distributors, quality product from SunAngel Co Ltd., products are crafted from high-quality crystal glass. 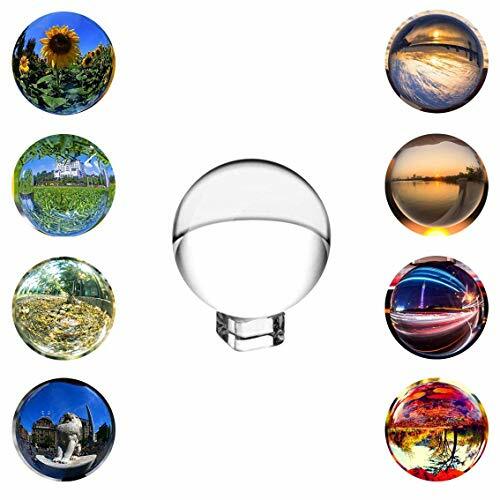 Each glass ball we are carefully packaged separately to avoid damage caused during shipment, and we are committed to providing the best service and the best products for every customer. FLAWLESS QUALITY: no lead, 100% clear, hard to get scratched by special processing of the surface. SIZE & MATERIAL: 80mm=3 inches, made of Top Grade K9 Crystal, with free crystal stand (About 1" x 1" x 1"). If you have any questions about this product by SunAngel, contact us by completing and submitting the form below. If you are looking for a specif part number, please include it with your message.